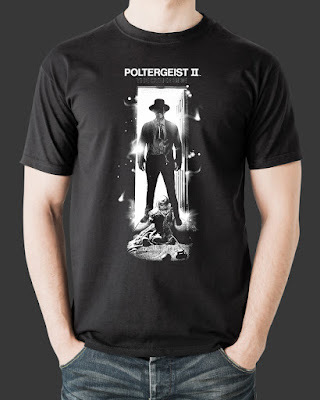 Check out the Amityville Horror and Poltergeist II shirts - and a limited Alien Day exclusive t-shirt! Fright-Rags has scared up new apparel and posters from The Amityville Horror and Poltergeist II: The Other Side. 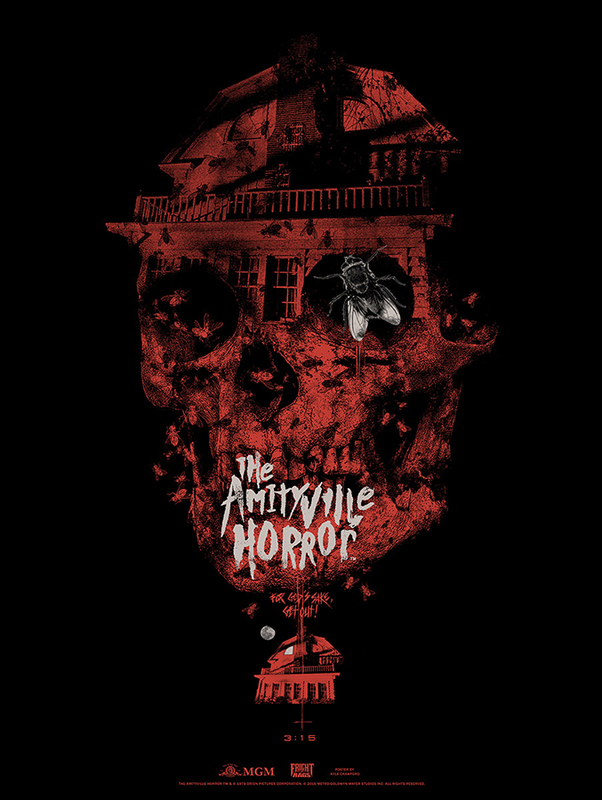 1979's The Amityville Horror is often imitated but rarely topped. 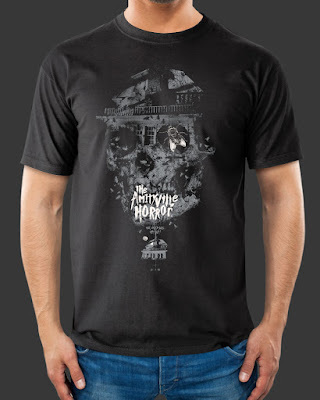 Artist Justin Osbourn warns you to get out out the film's iconic house with his shirt design, while Kyle Crawford creates a collage of haunting imagery for his. Crawford's artwork is also available on baseball tees and 18x24 screen-printed posters. The standard poster is limited to 175, and the red variant is limited to 50 with a glow-in-the-dark layer. While Tobe Hooper's Poltergeist is a bona fide classic, its 1986 sequel has its own merits. Osbourn and Crawford each offer a design featuring the film's protagonist, Carol Anne, being terrorized by the menacing Kane. 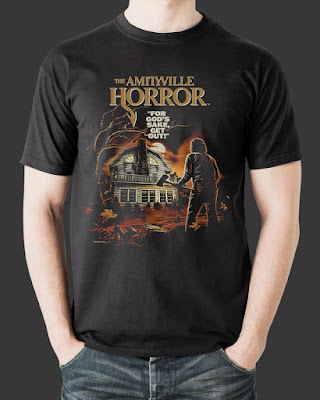 The Amityville Horror and Poltergeist II designs are on sale now and ready to ship from Fright-Rags.com. 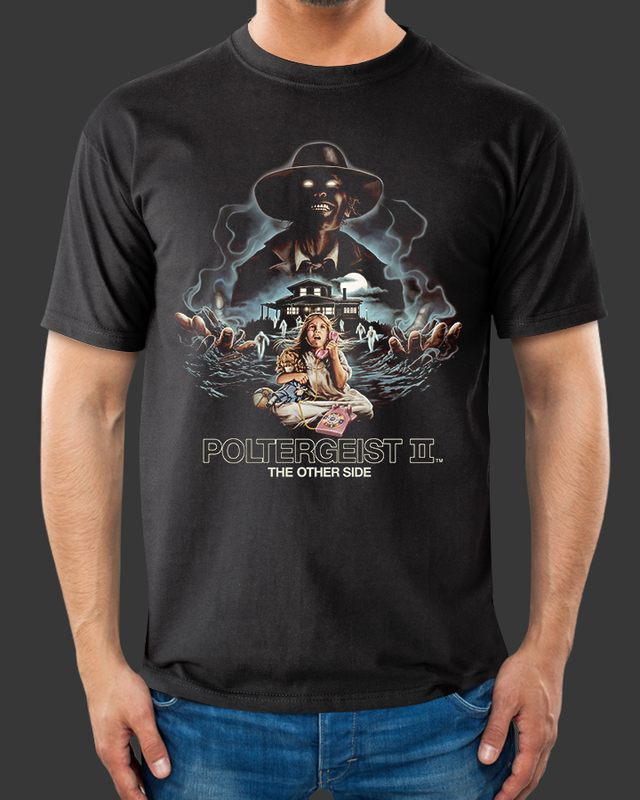 As quantities are limited, items may sell out soon. 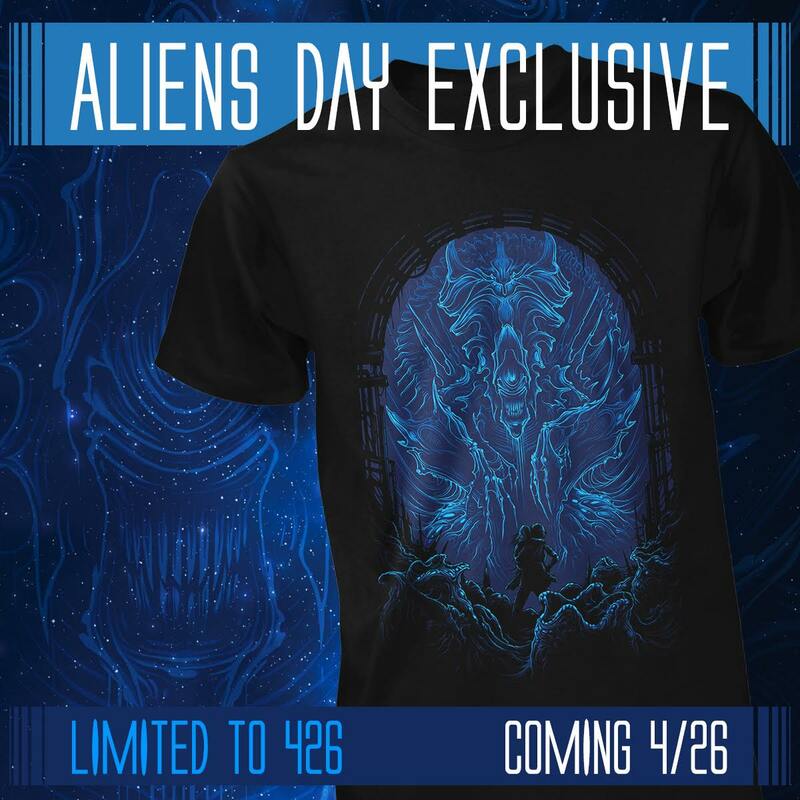 Fright-Rags will also participate in Alien Day, a celebration of the Alien franchise being held on April 26th. 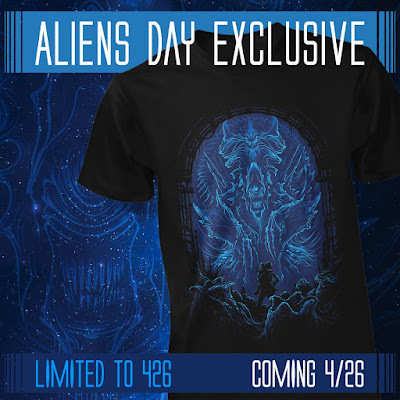 The company is releasing an exclusive Aliens design by Dan Mumford, strictly limited to 426 pieces.